Warning: Please remove all flammables, fluids, and food from proximity to your computer as the following statement by Newsweek's Eleanor Clift on PBS's McLaughlin Group Friday could result in a potentially hazardous fit of laughter. It's certainly no surprise to NewsBusters readers that Clift is a Clinton devotee. Conservative author Ann Coulter said once that liberals would drink Obama's bathwater. This is certainly the case for Clift and Clinton's. To fully understand the absurdity of claiming Clinton was focused on al Qaeda requires a little history of that terrorist organization. Although its roots are traced to Afghanistan during that country's war with the former Soviet Union, the first actual attack by al Qaeda is believed to be in Yemen on December 29, 1992, when bombs went off at the Movenpick Hotel as well as in the parking lot of the Goldmohur Hotel less than a month before Clinton was inaugurated. Fortunately, no Americans were killed as our soldiers there were staying in other hotels. However, the bombings attempted to kill soldiers on their way to Somalia to take part in the international famine relief effort known as Operation Restore Hope. Almost exactly two months later and roughly one month after Clinton's inauguration came the first World Trade Center bombing on February 26, 1993. 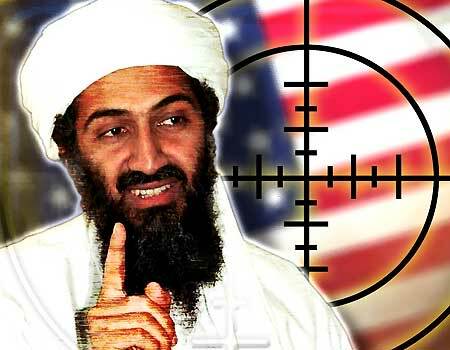 In 1996, Osama bin Laden issued a declaration of war against America. In June of that year, the Khobar Towers in Saudi Arabia were bombed killing 19 Americans and injuring 372 people. On August 7, 1998, our embassies in Kenya and Tanzania were bombed killing 223 people and injuring more than 4,000. Finally, in October 2000, the USS Cole was bombed in Yemen. You get the feeling "the Clinton administration was focused on al Qaeda?" As NewsBusters reported on September 6, 2006, I was in contact at the time with Michael Scheuer, a 22-year veteran of the CIA that used to head up “Alec Station,” the Counterterrorist Center’s Osama bin Laden unit. Scheuer is the individual regularly referred to in the 9/11 Commission report as "Mike." ABC was about to air its docudrama "The Path to 9/11," and former Clinton administration officials as well as many of their supporters in the media were out in force trying to prevent it from being shown. Clinton himself went on Fox News Sunday entering into a heated exchange with host Chris Wallace about the mini-series. Scheuer referred me to a July 5, 2006, op-ed he had written in the Washington Times wherein he spoke of "Clinton's failure to capture or kill bin Laden on any of the eight to 10 chances afforded by CIA reporting." Scheuer later described to me in a lengthy interview numerous missed opportunities by the Clinton administration relating to bin Laden all of which quite verified by the 9/11 Commission report. As I wrote at the time, "[T]here were three good, documented chances to take out bin Laden in about a nine-month period between May 1998 and February 1999. In all three, information and intelligence were not the problems. Some person or persons not being able to decide to act was." HARRY SMITH, CBS: Let's talk about what President Clinton had to say on Fox yesterday. He basically laid blame at the feet of the CIA and the FBI for not being able to certify or verify that Osama bin Laden was responsible for a number of different attacks. Does that ring true to you? MICHAEL SCHEUER: No, sir, I don't think so. The president seems to be able, the former president seems to be able to deny facts with impugnity. Bin Laden is alive today because Mr. Clinton, Mr. Sandy Berger, and Mr. Richard Clarke refused to kill him. That's the bottom line. And every time he says what he said to Chris Wallace on Fox, he defames the CIA especially, and the men and women who risk their lives to give his administration repeated chances to kill bin Laden. SCHEUER: Mr. Wallace, my opinion is not all that important. I went to a little Jesuit school in Buffalo called Canicius, and the priests taught us never to lie, but if you had to lie, never lie about facts. Mr. Richard Clarke, Mr. Sandy Berger, President Clinton are lying about the opportunities they had to kill Osama bin Laden. That's the plain truth, the exact truth. But that's the president's decision. That's absolutely the case. It's not a simple, dumb bureaucrat like me; that's not my decision. It's his. But for him to get on the television and say to the American people he did all he could is a flat lie, sir. Add it all up and it takes a talented Clinton sycophant to claim he was focused on al Qaeda in the '90s.